As an alternative to residential care, our live-in support for younger people allows you to receive the level of support you need, whilst remaining in your own home. One of our care workers will move into the home where you are living, not necessarily your family home, to provide you with on- going care and support based on your needs. 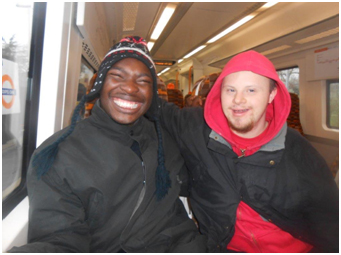 We are also able to support young people in their daily living activities without the care worker having to live-in. This is on a one to one basis and could vary from one to several hours a day / week. Our care workers are able to develop supportive relationships with a young person and open their eyes to new experiences. This way the care workers are able to foster increased confidence, ambition and empathy, and help the young person’s emotional and social development in an informal setting. © 2015 Br3akfree Limited . All Right Reserved.